After the closing bell Thursday, Microsoft Corporation (NASDAQ:MSFT) posted its fiscal third-quarter earnings report, and the numbers seem to be received very positively on Wall Street in Friday pre-market trading, as the stock surged more than 3 percent just before the opening bell, portending a positive day to end the week. 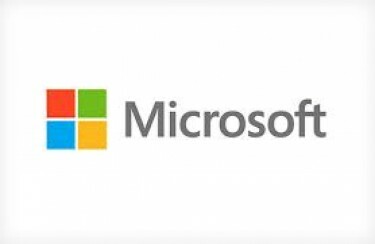 Overall, Microsoft Corporation (NASDAQ:MSFT) met expectations on the positive side, reporting more than $6 billion in profits on about $20.5 billion in revenue for the quarter, both numbers right about where analysts predicted. The numbers were increases of nearly 20 percent over the same time frame in 2012. On the one hand, there was some concern in the numbers due to the Windows division. Thanks to PC sales falling off the table, Windows essentially posted flat numbers this time compared to a year ago – accounting for the company’s Windows Upgrade Offer, revenues in Windows was flat at about $4.6 billion. In that vein, the earnings report was positive due to successes in other areas of the diverse company. Here is a quick rundown of where Microsoft Corporation (NASDAQ:MSFT) did much of its profit damage this time around. The biggest success came in the company’s Entertainment and Devices Division, which saw a 56-percent increase in revenue from the prior year, to $2.53 billion. Microsoft reported more than 45 million Xbox LIVE subscriptions, which is almost 20 percent more than a year ago. And this comes despite the fact that Microsoft has struggled mightily in Japan – and is trying to do something about that – that has hampered its growth. The other big jump came in the Online Services Division, which saw revenue spike 18 percent over 2012 with more than $830 million, while online advertising revenue rose more than 22 percent thanks to better revenue per search, according to the company. The Business Division – the company bread and butter for years – saw a modest 8-percent gain to more than $6.3 billion. Let us know your thoughts about Microsoft and your take on what this earnings report means for the company now and going forward. In the wake of Apple’s decline in recent months, where does Microsoft Corporation (NASDAQ:MSFT) stand among yoru top five tech companies? Let us know your thoughts in the comments section below.